Hungarian Prime Minister, Viktor Orbán made “mistakes” when dealing with the refugee crisis, but has highlighted the importance of Europe’s borders, European Parliament Vice-President Antonio Tajani told EURACTIV Spain. 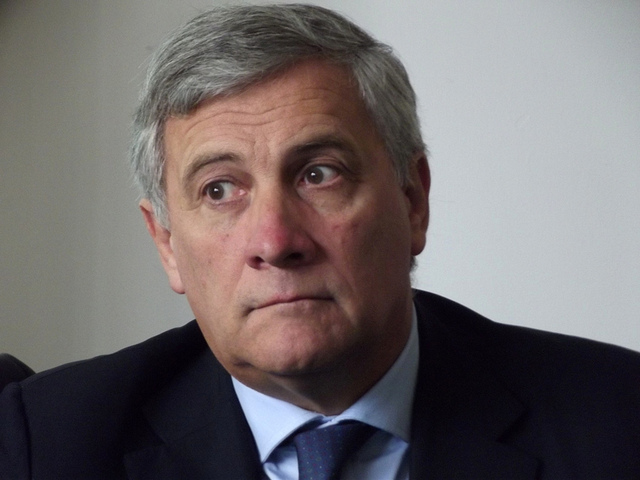 Antonio Tajani (Forza Italia) is Vice-President of the European Parliament. He previously served as Commissioner for Industry and Entrepreneurship, and Commissioner for Transport. Tajani spoke to Fernando Heller at the EPP Statutory Congress in Madrid (21-22 October). Was the refugee crisis correctly managed by Viktor Orbán? Nothing in life is black or white, you know. I do not agree with all the measures he took and, of course, he made mistakes. But at least he has the merit of having put on the political table the sensitive debate of defending Europe’s external borders. If we don’t do that, the situation with migrants in the EU could worsen and probably degenerate into chaos. Many, in particular outside the EU, could think Europe is a big fortress, hermetic and insensitive to human tragedies. This perception is completely wrong, I would say absurd. Europe is the world’s number one donor. We have shown many times that we are deeply (inspired by) the values of solidarity, and that we greatly support international development cooperation. But we have to protect our borders. Would a suspension of the Schengen Treaty be a temporary solution? That would be completely wrong. If you do that, you close the doors to countries we have borders with, like Spain, Italy, Greece … Let’s not forget that countries like Hungary and Bulgaria have external borders. This is why touching the Schengen Treaty would be very dangerous. If these countries close the borders, the pressure on Italy or Germany, for example, could be even worse. What we need is a fair distribution of the migration burden, as reflected in the last Commission proposals. Can Europe solve this situation, united and not more divided? This migration crisis is very serious, in many aspects, even more serious than the euro crisis. I would say (it is) worse than the last financial crisis in Europe. But I am confident about finding a common solution, a unified strategy. In fact, this is one of the main topics of the debates taking place now in this Madrid congress. Can Spain be an example of managing the refugee crisis? What Spain did in recent years, in particular signing agreements with countries of origin and transit like Morocco or Mauritania, can be a good model for the rest of the EU. We did the same in Italy some years ago, during the Berlusconi government. Of course, we can learn a lesson from the Spanish way of doing this: It’s better to invest money in the countries of origin.